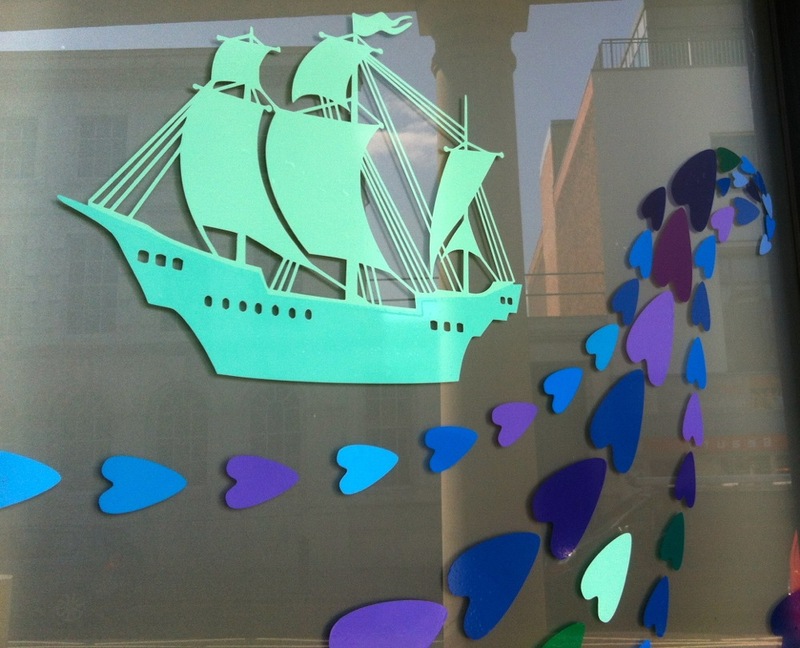 Working with LV21 in summer 2015, I was commissioned to develop colourful artworks to improve the appearance of six large grey windows of a drop-in centre in the crescent adjacent to the clock tower in Gravesend. The brief required elements of the artworks to be developed with the local community. 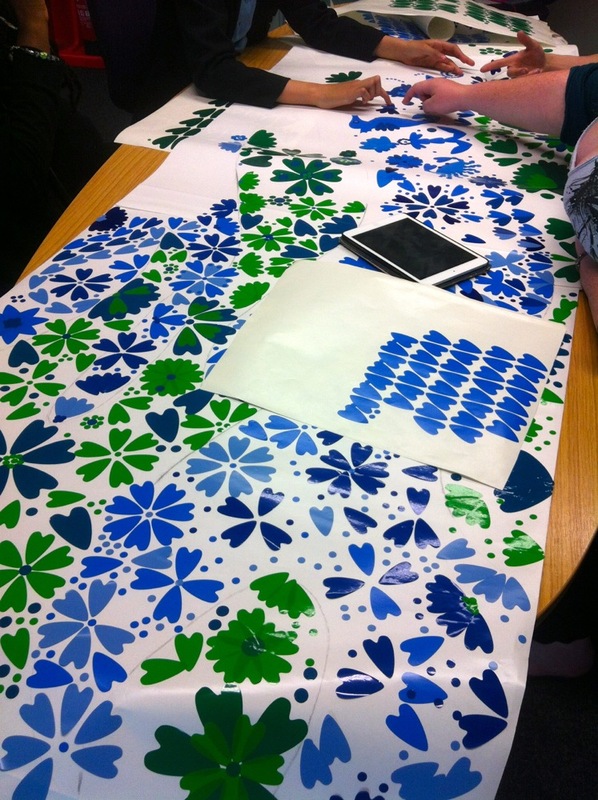 I ran workshops with visually impaired people from Kent Association for the Blind’s Gravesend art group, and teenagers from the SAFE project at The Grand. The overall project aimed to improve the appearance of the town and feeling within the population towards Gravesend, using floral displays, recycled materials and a sea theme. I designed two petal shapes and cut them out electronically in various colours and sizes. 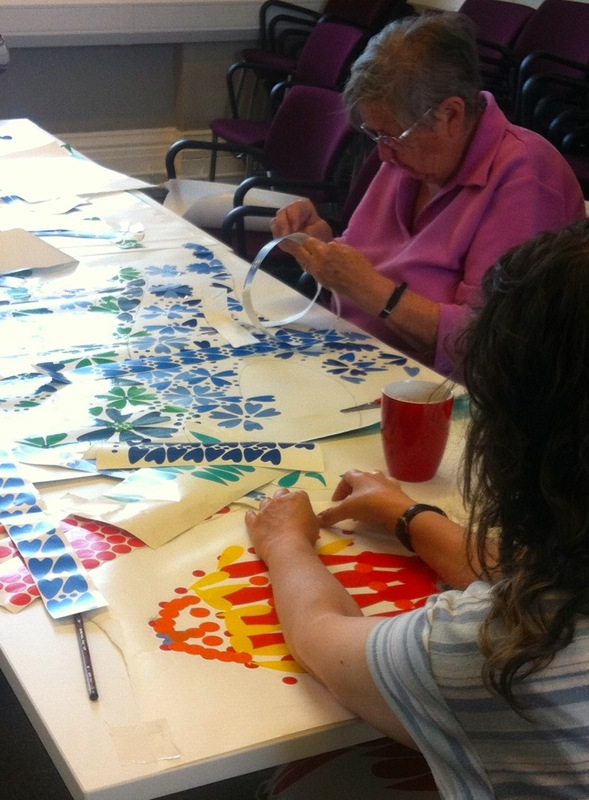 Through the workshops I led the participants to make fish, sea creatures and waves using the petal shapes. Although quite individual in style, the sea creatures had a cohesive look and also tied in with the floral theme, calling to mind well dressings. The vinyls were installed alongside panels I made with the petal shapes, and additional sea themed illustrations. Further vinyls were installed outdoors in car parks, phone booths and on windows through the town. The windows installation was intended to be temporary and remain for a month. Despite the vinyls needing to be installed on the outside of the glass due to the nature of the site, they stayed pretty intact. They were well received and remain there many months later. 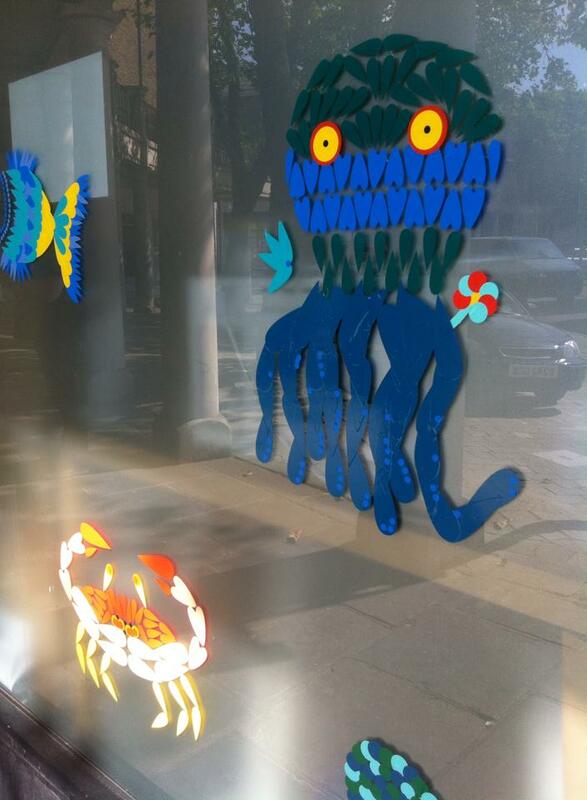 The vinyl materials for the window artworks were donated by a sign maker who no longer wanted them. Some were damaged, others old or colours he no longer needed and they were destined for landfill. 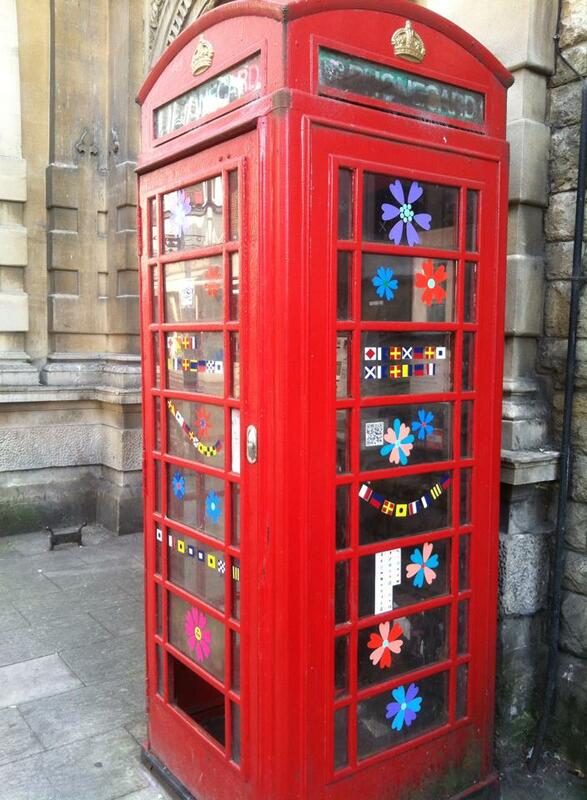 The phone box installations used signal flag vinyls as well as petals. Workshop participants came up with positive aspects of Gravesend to celebrate, and these were spelled out with the flags. A key to the signal flag alphabet was also installed so that the messages could be decoded.